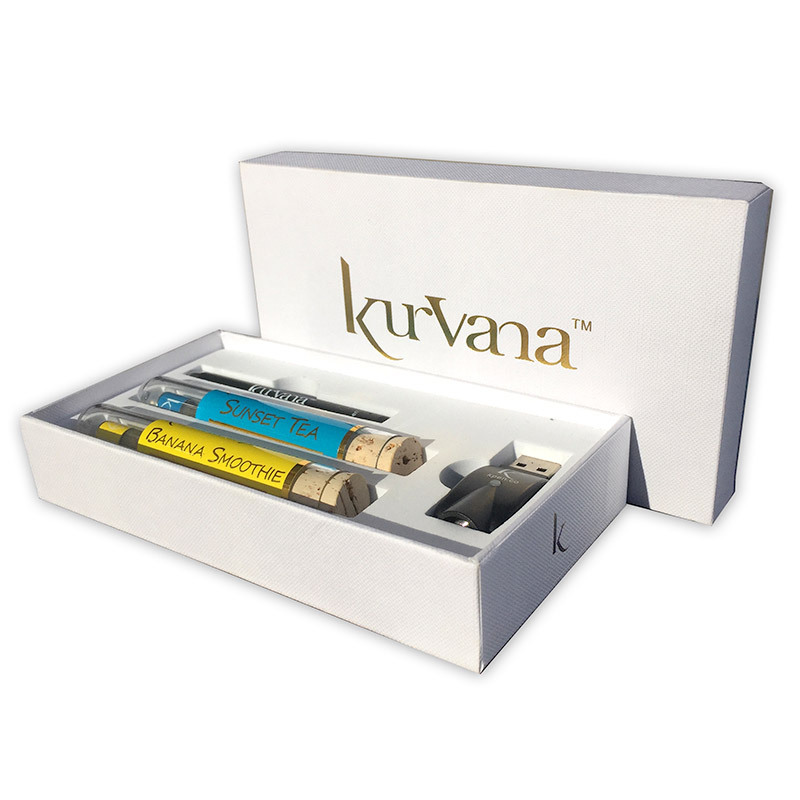 Stunning in it’s packaging and presentation, Kurvana exudes premium cannabis oil and set our expectations high. 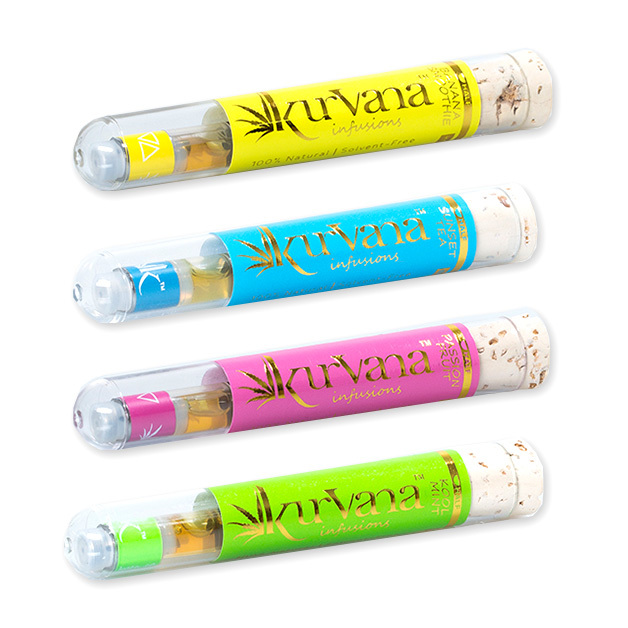 Each Kurvana vape cartridge is individually packed in a plastic tube, topped off with a cork. 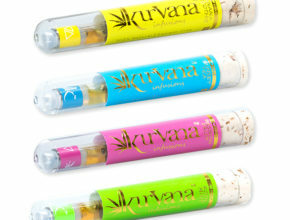 Kurvana vapes are so tasty and potent, with each new Kurvana, you literally get to uncork a delightful experience. We had the opportunity to uncork three spectacular vapes: Pineapple Express, True OG, and Banana Smoothie. Being mid-day, we first tried the Pineapple Express for a much needed mid-day pick me up. Pineapple Express, a Sativa-dominant strain popularized by Seth Rogan’s hit comedy movie by the same name, was quite effective in producing a mind stimulating, energizing boost. The True OG produced a nice cerebral high with a pleasing kushy taste. The Banana Smoothie, which smells and tastes exactly like it sounds, produced a very clean and mellow high, perfect for maintaining mental clarity for writing and creative activities. The Banana Smoothie cartridges are a unique vape with a balanced ratio of 1:1 CBD:THC – these are nice! If you’re looking for a more hard hitting high effect, go for something a bit stronger like the Sour Diesel, Master OG or the notoriously popular Jack Herer. Kurvana has a top notch strain selection to suit your desired effect. 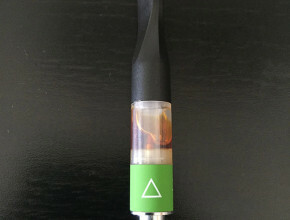 The first puff of the Pineapple Express oil was delightfully sweet to the taste with undertones of juicy, pineapple fruit flavor and followed by a mild, somewhat bitter and spicy aftertaste. Overall, a true pleasure to smoke. Hats off to Kure Botanicals on this one! Next we tried the True OG which vaped extremely well, along with the flavor you’d expect from a legit, top-shelf Kush strain. The True OG brings on light hints of pine and tangy citrus, which were quite refreshing on the first puff – similar to taking greens on a fresh bowl of Kush. The True OG is hands down one of the best vapes we’ve tasted to date, on par with with the flavors we’ve tasted with Honey Vape oils. The Banana Smoothie is on point with its surprisingly accurate, banana flavor. Very light and sweet, it’s easy to puff on some smoothie vapors all day! Kurvana vape cartridges are conveniently labeled with triangles facing either upward, downward, or both directions to denote whether the cannabis oil in the individual pre-filled cartridge is an upper (Sativa), downer (Indica), or a combination of the two (Hybrid). Most Kurvana cannabis oils test at over 60%+ THC. 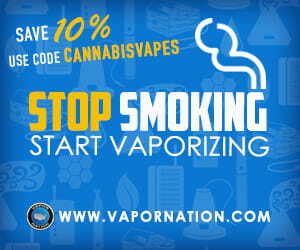 They stand by their lab results, having tested all their products at multiple stages during the production process to ensure the highest quality and cleanest vape oils possible. 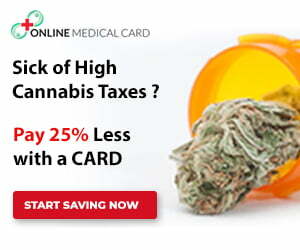 Each puff delivers 1 dose which is about 3 mg of THC (great starting point for less experienced or first time patients). The 0.5 gram cartridges contain about 100 doses while the full 1 gram cartridges contain about 200 doses. 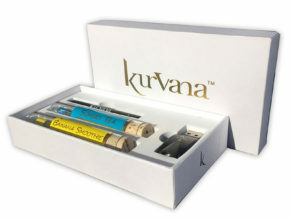 Kurvana has two different product lines, KPEN Originals and KPEN Infusions. 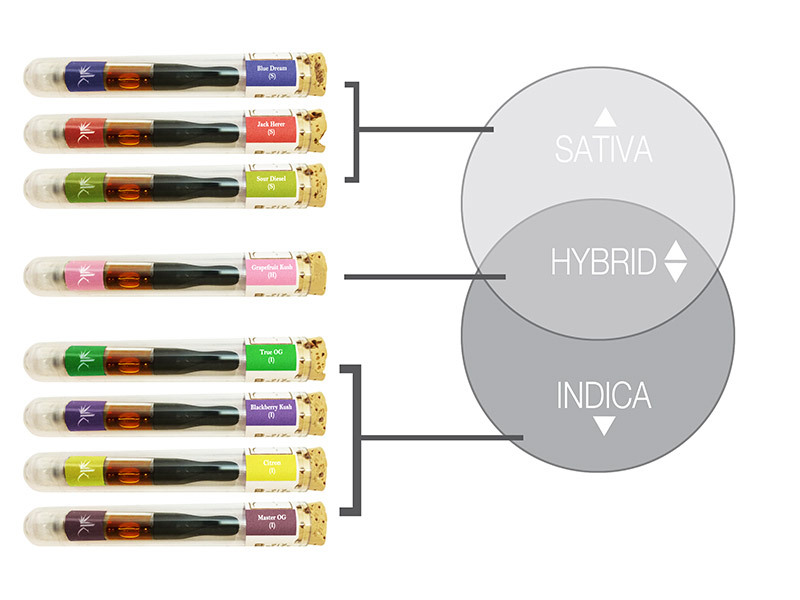 Some of the Kurvana infusions have balanced ratios of CBD to THC. The Banana Smoothie batches we’ve seen are often formulated at a balanced 1:1 ratio while the Sunset tea is closer to a 2:1 CBD:THC for a mellow high that’s no as psychoactive. 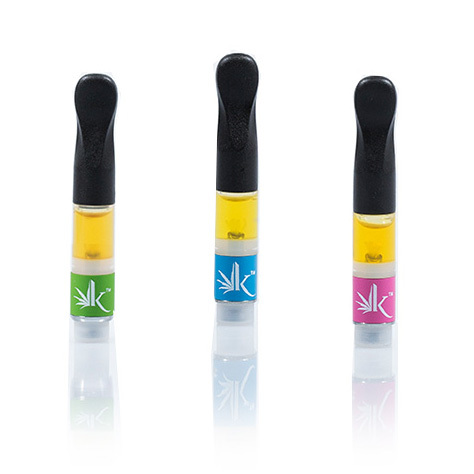 Kurvana Vape Oils are available in over 50 dispensaries in Northern and Southern California. Use this map to find the locations that carry Kurvana products. 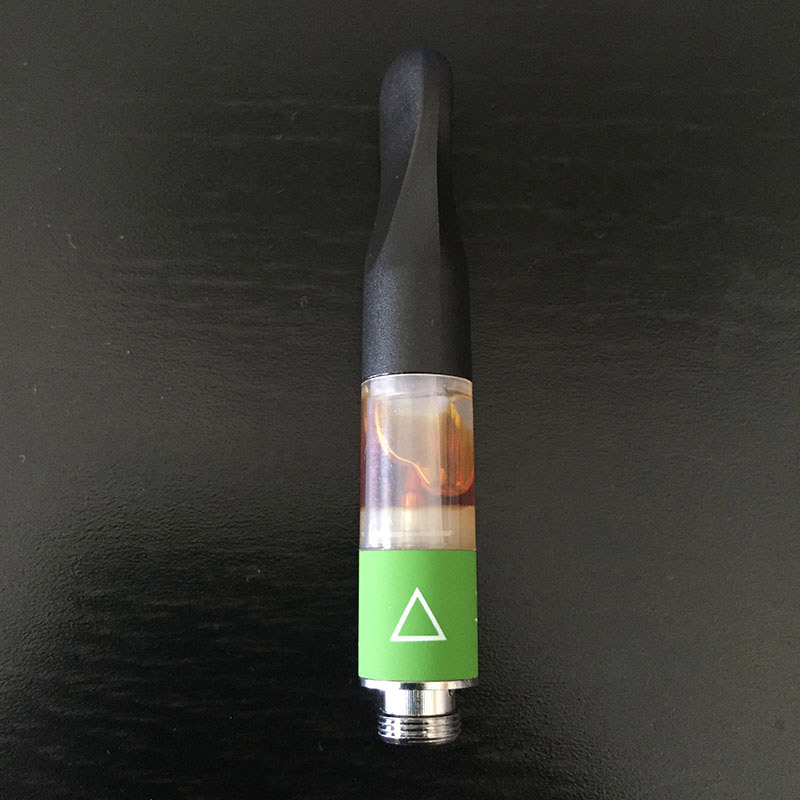 Check out our review on Kurvana’s premium cannabis oil line, Kurvana ASCND vape cartridges. what is the chemical taste I am tasting when I take a puff.